Samsung Galaxy Tab is slated to release in India in less than a months time – Many people are looking forward to this tablet. It will be first tablet officially launched in India by a Multinational company (Infibeam and couple of other Indian companies have already launched). 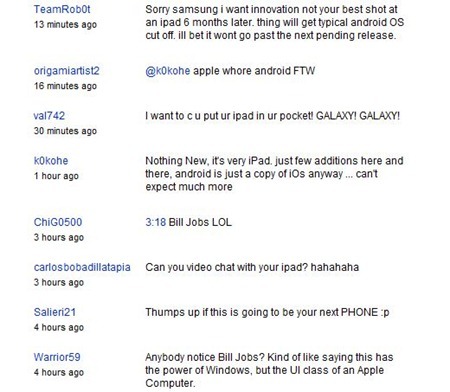 Samsung has released an official video of Samsung Galaxy Tab giving a peek at this much awaited tablet. From what I can say, it is a neatly finished product, at the same time, it has too much resemblance to Apple iPad. Infact, if you read some of the comments on that video, it seems to be suggesting the same.. Though, I must say that it is more portable than iPad which is a 10 inch comparatively heavier device. I am looking forward for this launch and I am actually quite keen to buy it…Anyone else ? Rural and small towns, the next big opportunity for Indian retail?